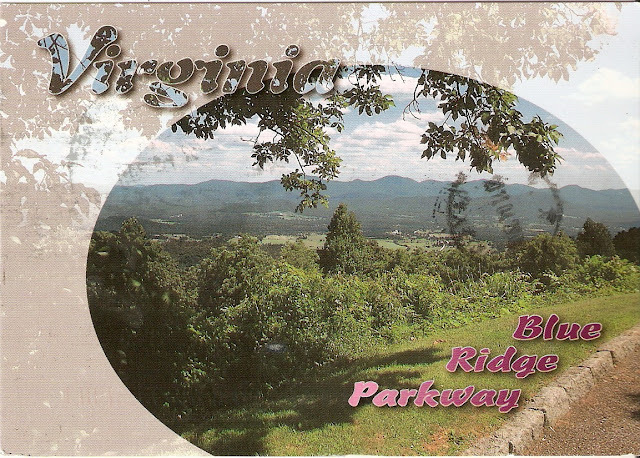 I got this nice official card of Blue Ridge Parkway from Mike, USA. Parkway, a totally new word to me. It is not a National Park but a National Scenic Byway, which is famous for its beauty view. Nevertheless, land on either side of the road is maintained by the National Park Service. Blue Ridge is a major mountain chain of the Appalachian Mountains. 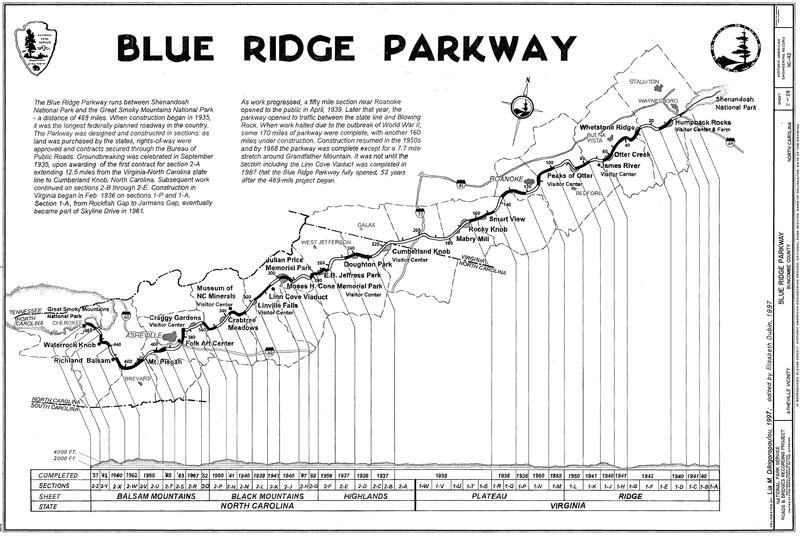 Most of the Blue Ridge Parkway is along the ridge. It was built to connect Shenandoah National Park(northern terminus) to the Great Smoky Mountains National Park(southern terminus). The Blue Ridge Parkway is most visited unit in the United States National. Mike wrote, he likes exploring the trails from the park. (Did he mean the Shenandoah National Park?) Exploring in it, Mike said ‘as if the forests belong only to me’. Oh, What an amazing place to go. It reminds me the famous song of John Denver, Take Me Home, Country Roads. Oh, wasn’t he singing about the beautiful place showing on the card? My heart has flied there. 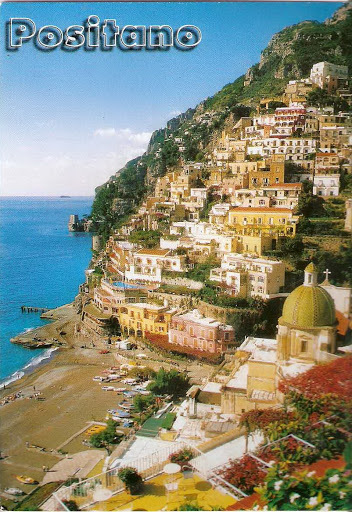 Recently I received this lovely card of Positano from dear Ilaria, Italy. It’s on in Costiera Amalfitana, which is an UNESCO WHS of Italy. Ilaria lives not far from there, but there is only one road to access, which often full of traffic in the holiday seasons. Although an important tourist destination nowadays, Positano was a relatively poor fishing village during the first half of the 20th century. It began to attract large numbers of tourists in the 1950s. Ilaria told me the colorful houses and hotels are separated by narrow little streets with winding stairways that connect the town. Hummm, a typical seaside village of southern Europe in my mind. I also find out an interesting novel about the village, it’s Finding Positano, a love story, by William James. How enjoyable if I could sit in the sunshine of Positano reading this novel. Today I found an interesting picture discribing the faces on the bus in the rush hours, which is really funny. 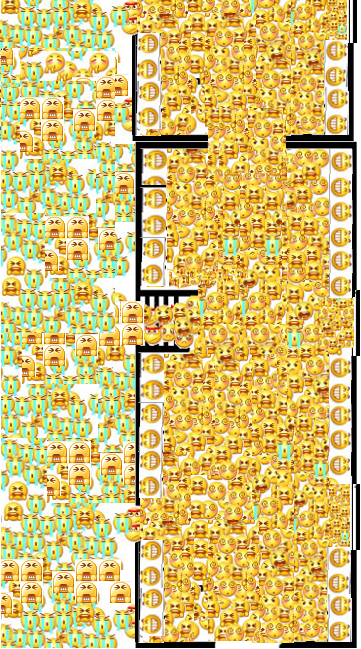 Then I found another picture about subway, more interesting. 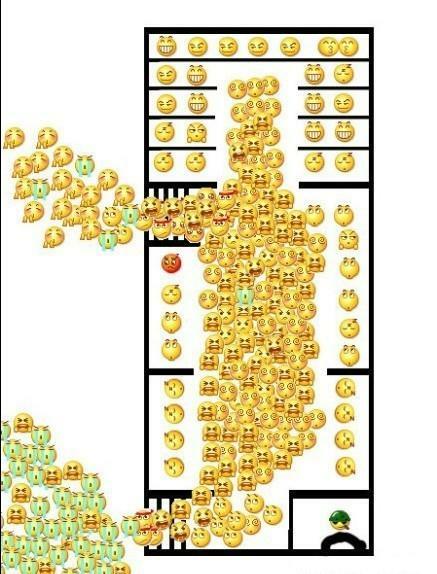 As I myself often go to work by subway, I can understand the pic totally. Yesterday I received a postcard of Kakadu from Phillipa, Australia, via private swap. And lovely koala stamp. This is one of my favorite type of postcard to receive, as it’s a national park as well as an UNESCO Word Hertitage Site. And I really love the stunning view with green color. Kakadu is in the Northern Territory of Australia, 171km southeast of Darwin. It’s the size of Slovenia(Wow) and the Ranger Uranium Mine, one of the most productive Uranium mines in the world, is contained within the park. The name Kakadu comes from the mispronunciation of ‘Gagadju’ which is the name of an Aboriginal language spoken in the northern part of the Park. I don’t realize its danger untill Phillipa told me that there are many saltwater crocodiles. Then I remembered the TV program Man vs Wild, Bear Grylls once explored his advanture in Northern Territory of Australia, where he said it’s one of the most dangerous places in world. He encoutered many many freshwater crocodiles there. And it’s Kakadu! Actually there are two species of crocodile occur in Kakadu: the Freshwater Crocodile (Crocodylus johnstonii) and the Estuarine, or Saltwater Crocodile (C. porosus). Both of them are protected by law. That’s Kakadu, danger hides under its gorgeous outside. It seems it’s too late to say a new year greeting. 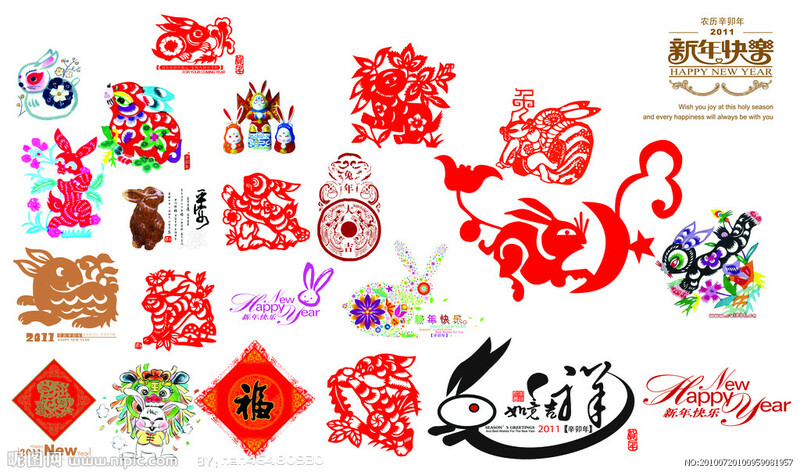 But in China, the traditional New Year just arrived. We call it 春节(Spring Festival), which means that the spring is coming soon^_^ I love snow in winter, but I think spring is more beautiful, flowers, green grass, warm wind… So happy new year to all my friends, I wish you everything goes well! Since 2010.12.17, I was almost out of Beijing for work, I was in Jilin and Guizhou. Do you know Guizhou? It’s not my hometown but the place I grew up. And my parents live there. I was very lucky to work there before the Spring Festival. That means when I finished my work, I need not come back Beijing but stay home directly to spend my Spring Festival holiday. So this year I spent more time with my parents than any other years!